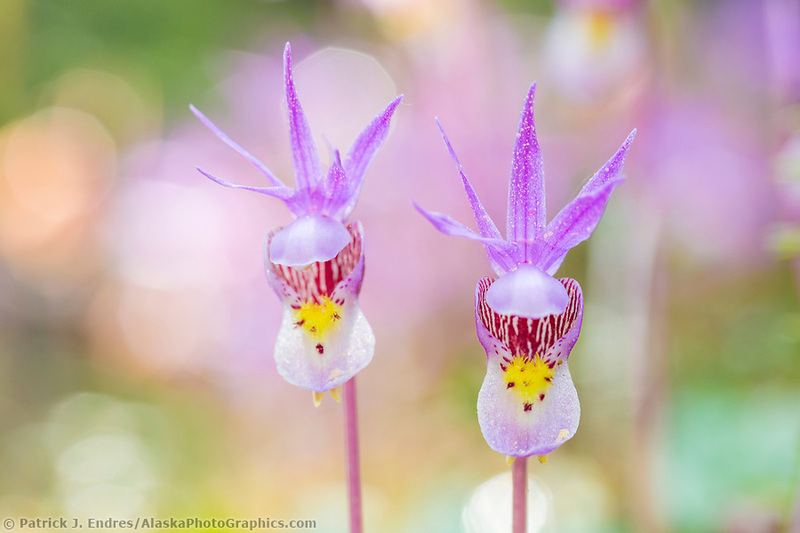 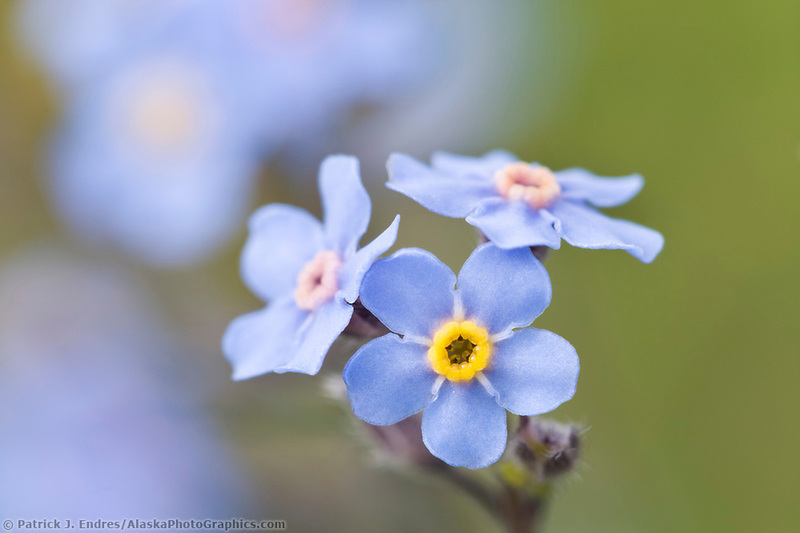 Alaska wildflower photos and natural history information. 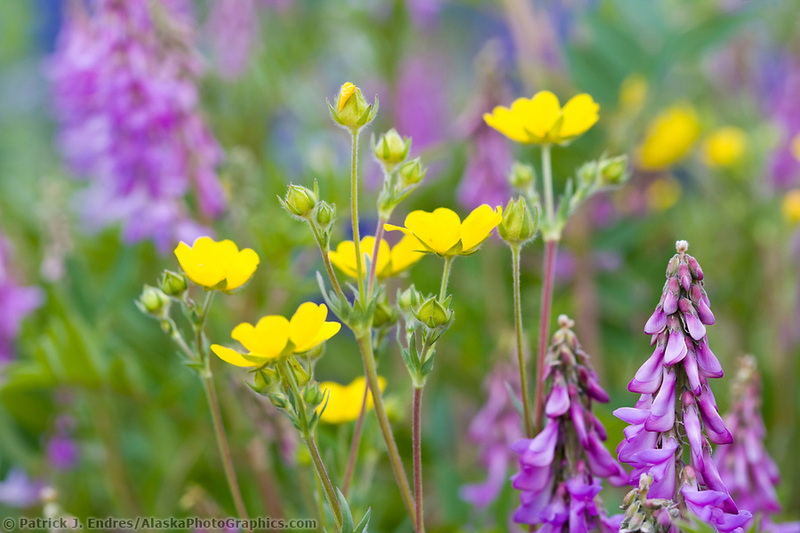 The Alaska wildflower photos here are by no means comprehensive, but they are samples from my photography ventures throughout the state. 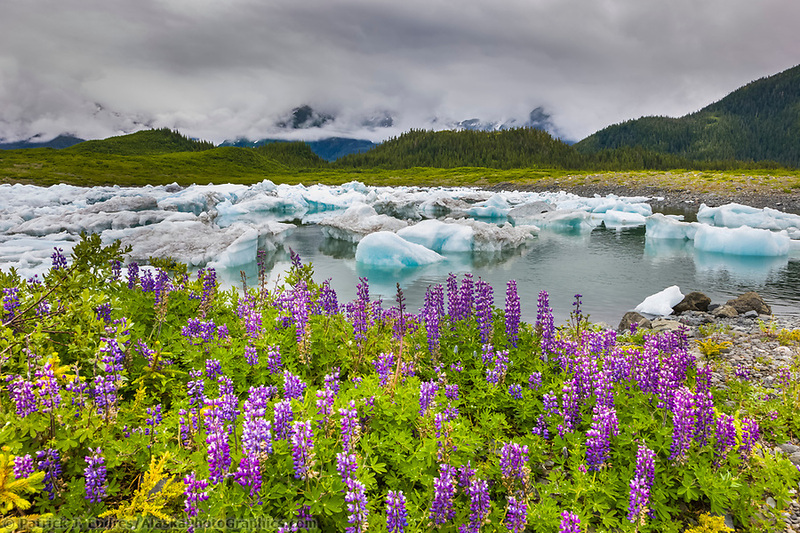 While Alaska is well known for its long and dark winter, the summer, although short, is an infusion of light. 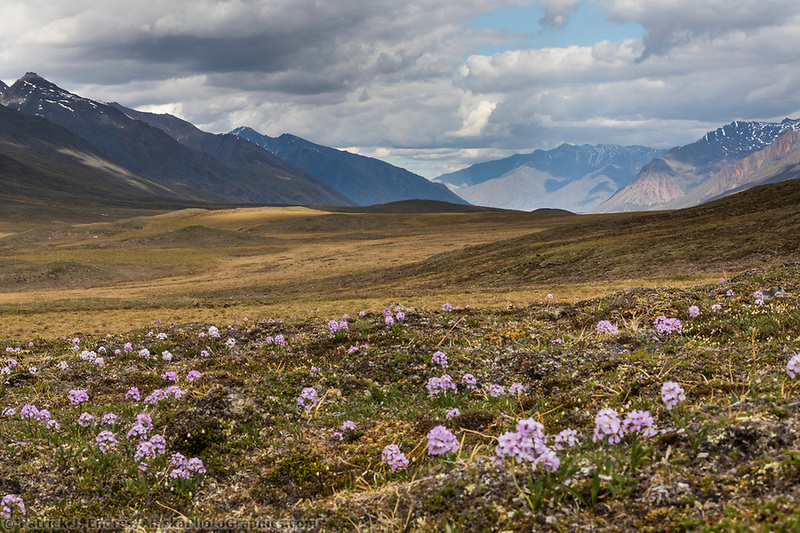 It is under these long summer days that a spectacular diversity of wildflowers bloom along the roadways, forest floor, tundra wetlands, and mountain meadows. 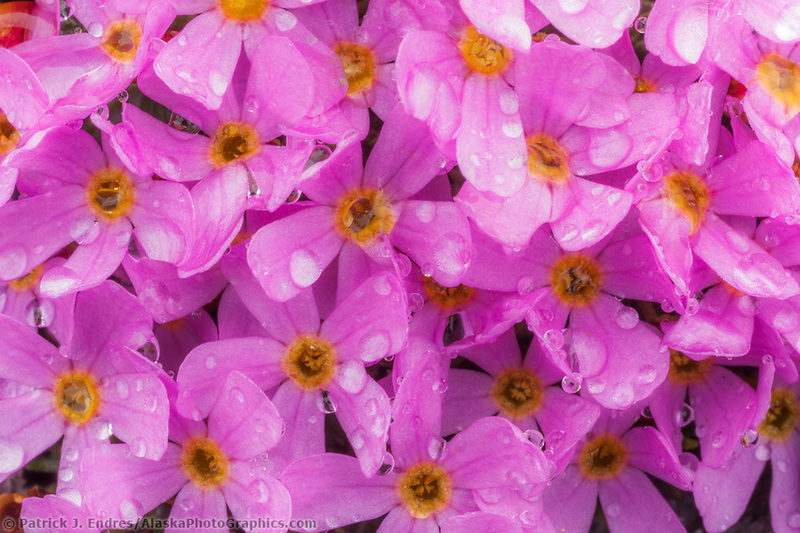 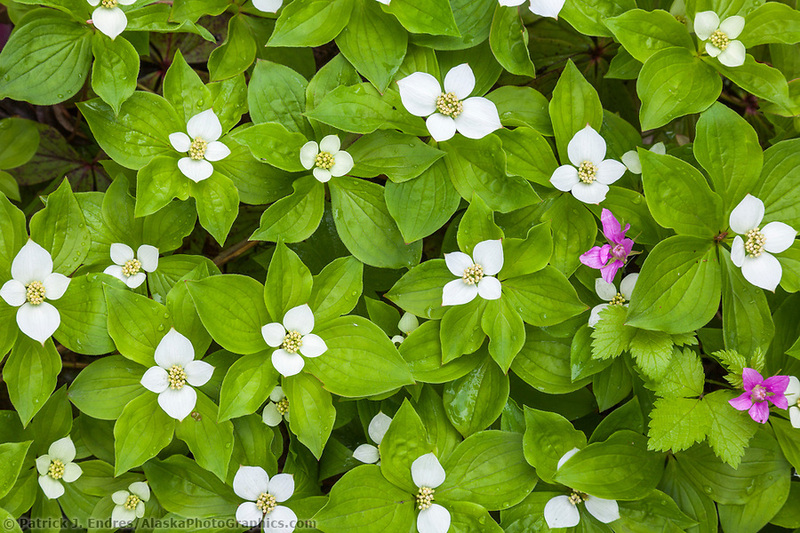 All of the Alaska wildflower photos on this site can be licensed as stock photography or purchased as fine art prints for your home or office. 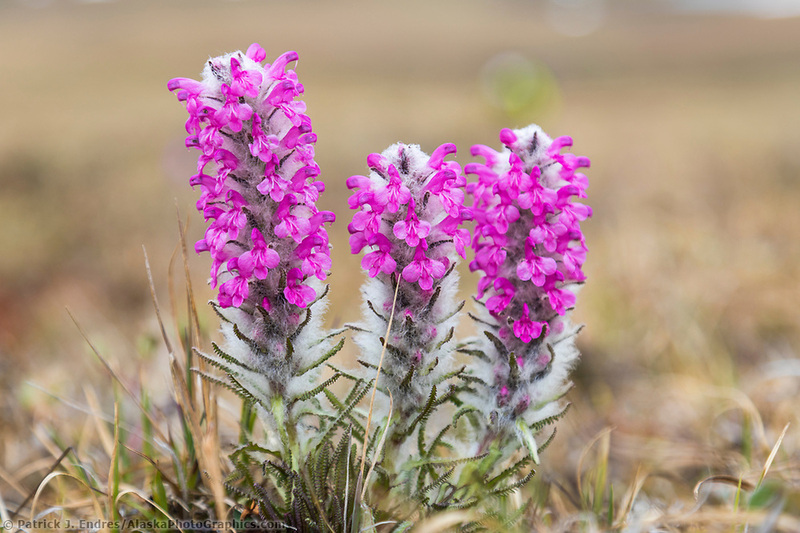 Over the years, plants have adapted to endure great winds and cool temperatures in high mountain meadows, often displaying flowers that bloom close to the ground or have special insulating qualities to protect them from the chill. 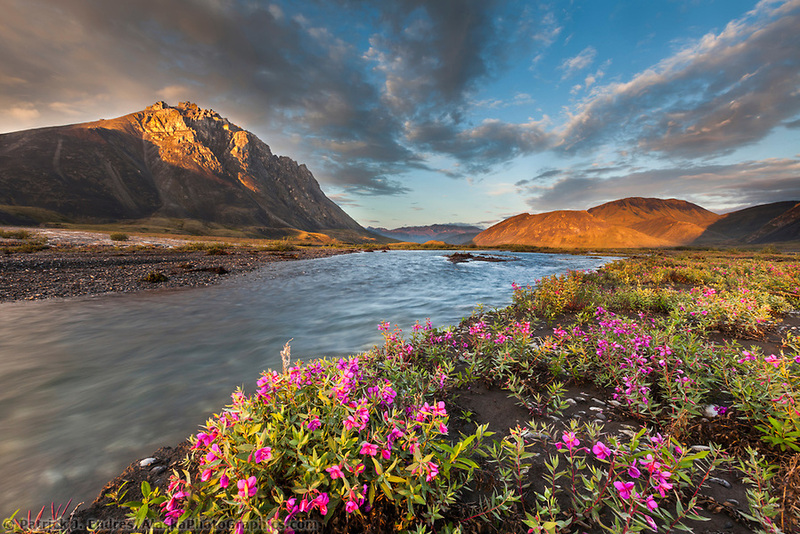 Of the many Alaska wildflowers, the most well know is the fireweed, which reaches peak bloom by late July and early August (depending on geography). 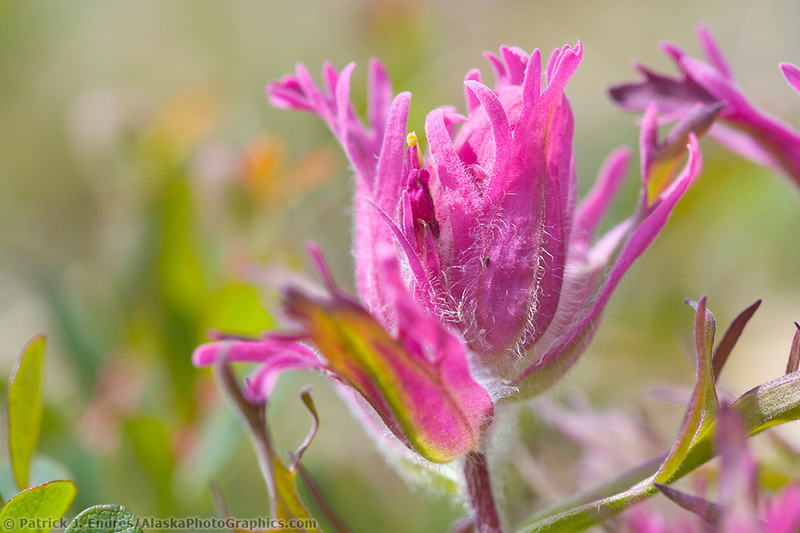 Many roadside corridors are enflamed in pink with this abundant wildflower. 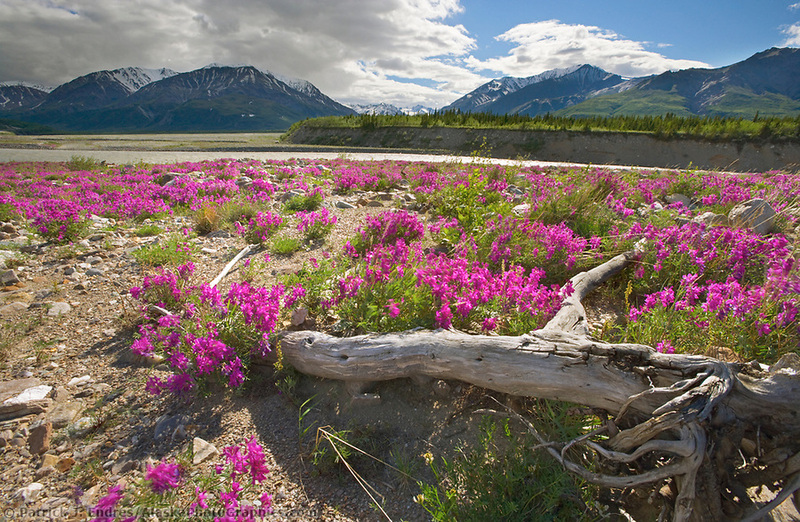 Fireweed honey is a delicately flavored honey, gathered by some honey bees whose hives are situated near large fields of fireweed. 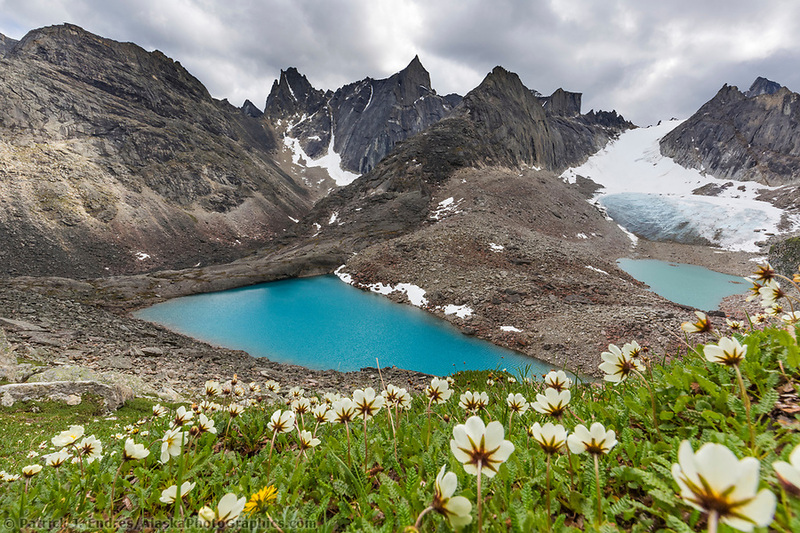 The many blossomed plant blooms first at the bottom, and an old Alaskan saying claims that by the time the fireweed blossoms at the very top, the first snowfall is only six weeks away. 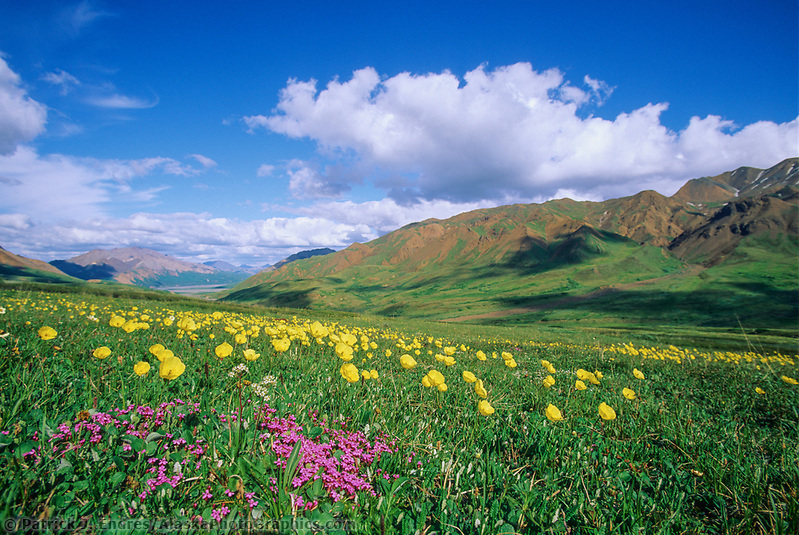 Alaska’s short, but aggressive growing season yields fields of wildflower color in the summer months. 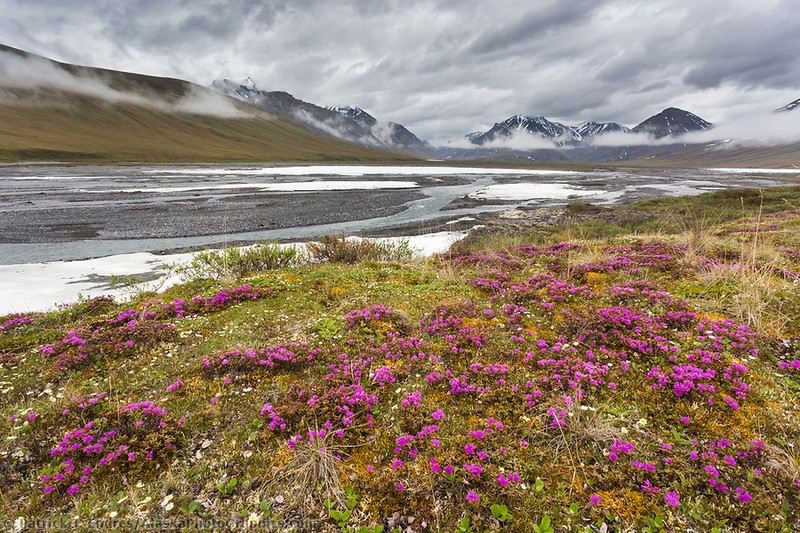 In spite of chilly and windy conditions in the mountains, blankets of color fill valleys and cover meadows, like this yellow field of Alaska poppies at nearly 4000 feet elevation in Highway Pass, along the Denali National Park Road. 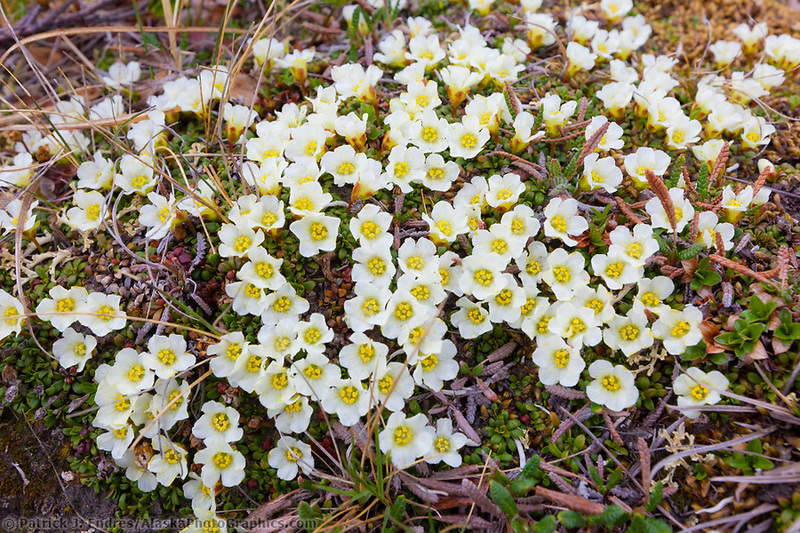 It is a wonder that the small petals of this delicate plant remain attached amidst the blustery winds that rip across the alpine tundra! 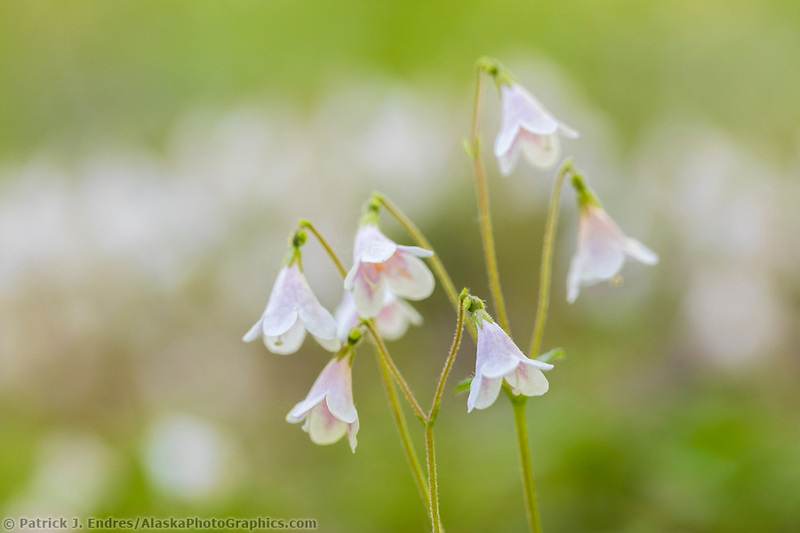 The Frigid Shooting Star is most abundant in wet tundra meadows and alpine slopes from June to mid-July. 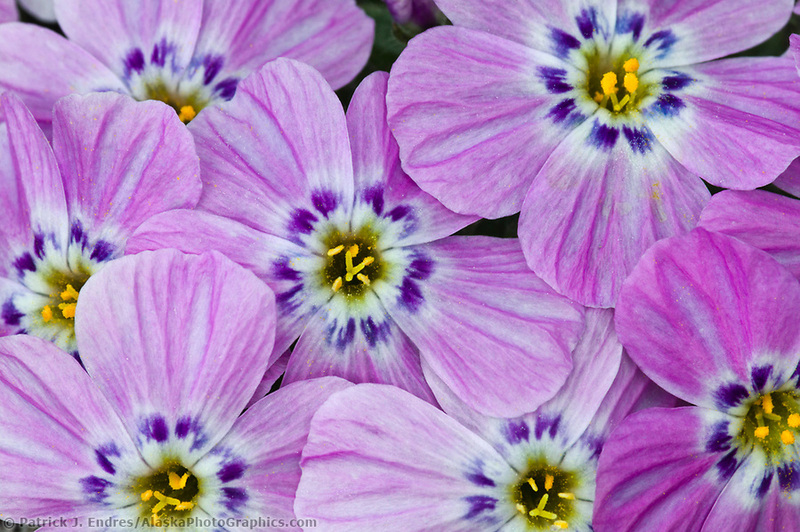 It gets its name from its unique shape and blooms to about 10″ high with magenta flowers with a white ring. 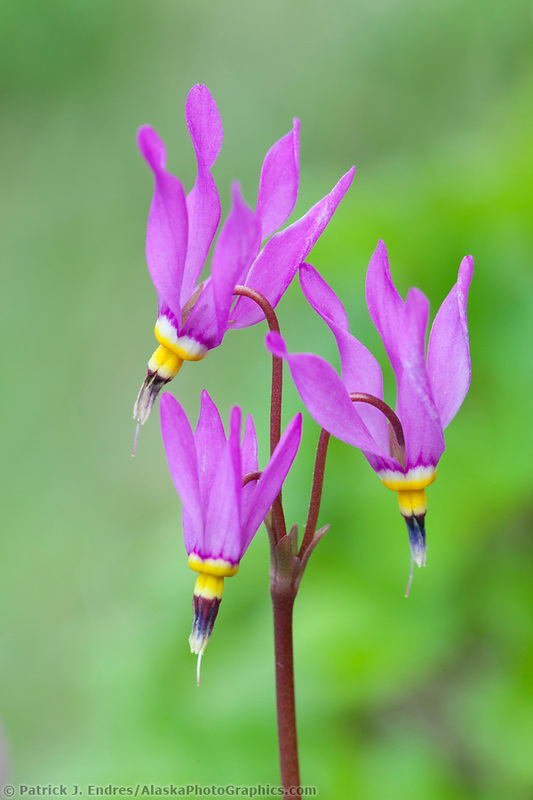 As is common with a number of Alaska wildflowers, there are a few variations to the Shooting star, and it may differ slightly in height based on location and climate. 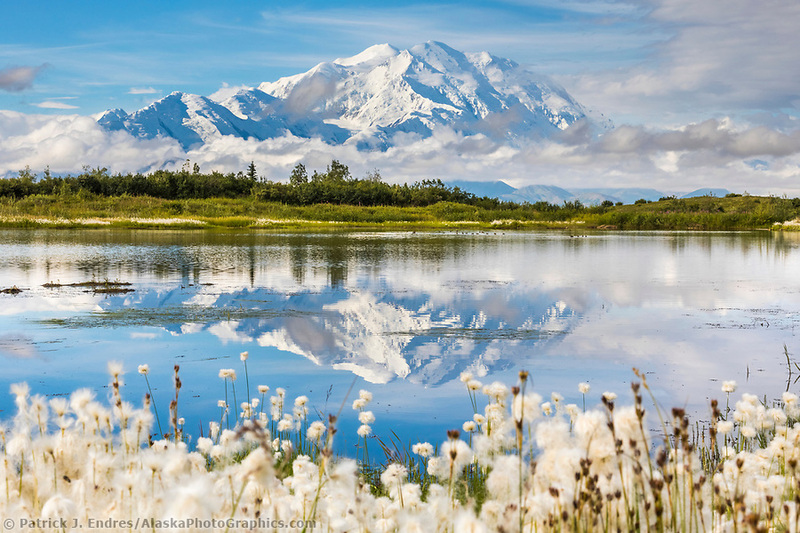 Alaska’s Wild Iris can be found in the Interior and the southern parts of the state in June, one of the summer’s earliest blooming flowers. 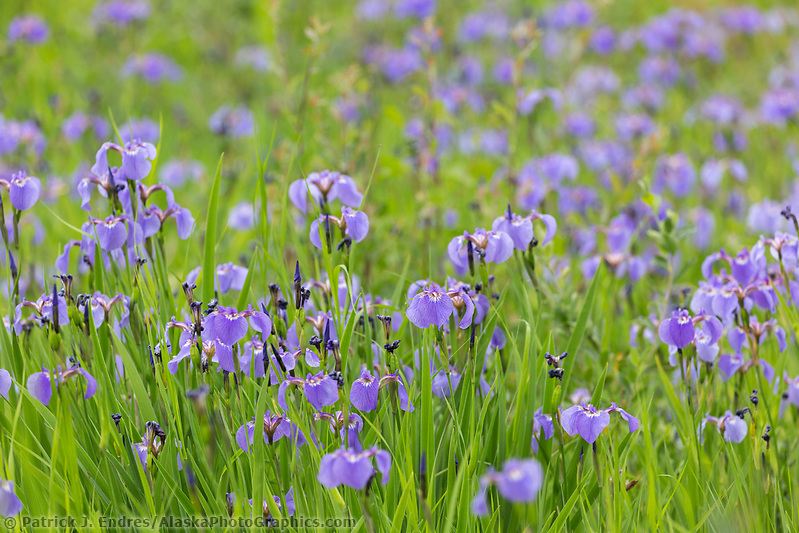 It often grows in clusters and sometimes even in large fields filled with the drooping purple blossom. 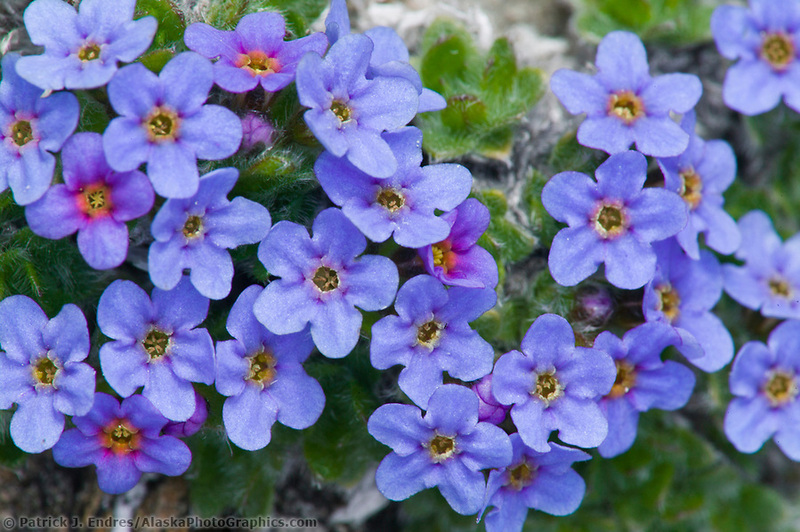 It prefers wet environments and is commonly viewed along roadside ditches and marshy areas that hold moisture well. 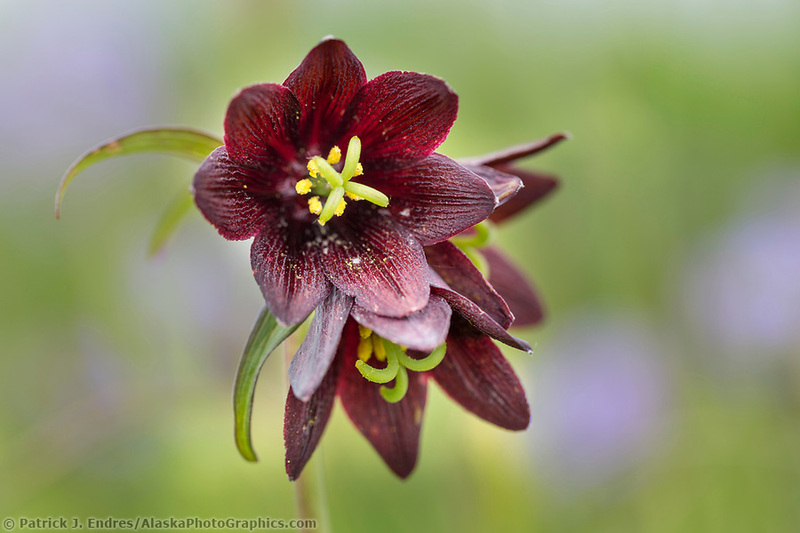 It’s delicate petals range from light to deep, rich purple, and photographers are often observed crouched in the roadside flower patches, lost in the splendor and design of this elegant plant. 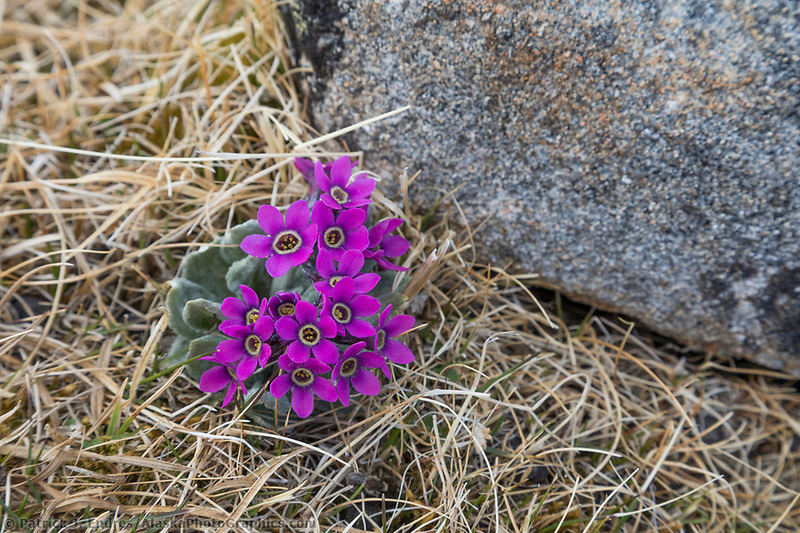 It is also used as a decorative plant for landscaping, and some locals have been known to harvest bulbs from the roadside patches to transplant around their home as garden elements.